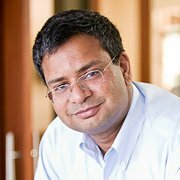 Editor's Note: This guest post was contributed by Ashu Garg, General Partner, Foundation Capital. It’s that time of the year when every CEO is drawing up their annual plan for next year—or should be. Many CEOs complain about the amount of time that planning consumes, for correspondingly little value added. Many marketing and other executives complain about all the effort they put into creating bottom-up plans with their teams—only to be over-ruled by the CFO, CEO, or sometimes the board. The most common comment I hear is, If you already have an answer in mind, tell me upfront and save me all this wasted work. In addition to feeling that planning is time consuming, most CEOs don’t feel like they get enough value through the process. But it isn’t the plan itself that’s important; it’s the planning that’s invaluable for your company or your department. A good planning process forces you to articulate your key assumptions, define the metrics that matter, and align the executive team around a shared strategy. Think of annual planning as early detection: if done right and done well, it will help you to identify nascent flaws in your execution and strategy before it metastasizes into an actual crisis. This will be particularly important as you build out your executive team and ramp up spend on the go-to-market teams, when making course corrections only become more difficult. 1. Planning should begin top-down, with the CEO sharing a strategic and a financial “envelope” with the executive team. The strategic envelope should contain the three or four key business priorities for the company—as well as the things that the company is not going to focus on in the coming year. For example, launching a new product or entering a new customer segment could be a priority; but expanding into a new geographic market won’t be. The financial envelope should consist of no more than three top-level metrics (with specific goals for each metric), such as net new ARR or cash burn which define the goal post for the company, and the constraints within which you need to operate. Often, you will end up refining these goals. Nevertheless, starting with these goals will enable you/your team to focus on how to accomplish the goals and what trade-offs to make, rather than needlessly debating the goals themselves. 2. The CFO/VP Finance (or the CEO if there is no finance person) should build a bottom-up financial model (revenues, cash flow, etc.) using the prior year’s performance and the financial envelope as the seed data. The key here is to build a model that each functional leader can modify/run scenarios, and eventually own their own “tab” in the model. This is critical to ensuring that everyone is using the same model and it saves individual execs a ton of time, since many of them are not Excel jockeys. 3. The CEO should lead a planning kick-off with his exec team—ideally for a couple of hours and certainly for no longer than a half day—to share the strategic and financial envelopes, get the exec team on the same page on the desired output of the process, and agree on timelines. The process shouldn’t take more than two-to-four weeks, depending on the size of the company. Under this plan, how many leads do I need to generate? Does the VP of Sales share the same definition of a lead? Should I scale the same demand-generation activities? Or do I need to shift the mix of inbound vs. outbound to make my numbers? What sales-enablement efforts do I need to plan for? How do I trade off sales enablement (which should improve lead conversion) with lead generation? What category-creation/brand-marketing efforts can I afford ? Which such efforts will be critical to support the 2018 plan? What activities must I invest in in 2018 to lay the groundwork for 2019? 6. Once you have a first draft of the plan, you should stress test the assumptions for achievability. For example, can you hire the number of people you are planning to hire? Have you factored in ramp up time? Have you factored in incentive compensation costs? Have you factored in attrition? Or the fact that 10-25 percent of sales reps will not make plan? 7. Also, very often you will find significant dis-connects between the top down goals that you, as the CEO, are setting and the bottom up numbers that the team comes up with. Often, these issues cannot be resolved as a group and you should take them offline 1:1 with your directs. Eventually, a company is not a democracy, and planning is only useful if you make hard choices along the way. At the same time, you need to understand where each exec is coming from and really make sure that they buy into the plan, including the key assumptions/metrics. And if they don’t really buy in, then you need to make the hard choice of changing the plan or letting them go. 8. Having resolved most of the issues off-line, the exec team should meet again as a group for a half-to-a-full day to finalize the plan and sign off. 9. Once you have a near final plan, communicating it is an art form. Should you have one set of numbers for the team and the board? How much detail should you share with the entire company? IMHO, you should keep things simple: have one set of numbers, share the high-level plan with the entire company, and remind your team that the only thing you know for sure about your plan is that it is filled with mistakes and will be wrong. 10. Lastly, keep in mind that for the most part, the quarter is out of your control on the first day of the quarter! Therefore, apply the 80/20 rule at every step, because it’s more important to complete a plan well in advance of the start of the year than to get every detail right. Also, plan to re-plan and re-plan often, typically every six months. To keep pace with the best thinking in marketing in 2018, subscribe today to the LinkedIn Marketing Blog.